Offering you a complete choice of products which include boiler suits. 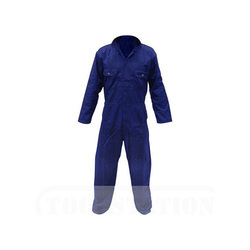 We have established a distinct position in the market by manufacturing a quality proven array of Boiler Suits that is designed with the use of fire retardant fabrics by our professionals. Protect wearer from spills, stains, cuts, burns and other such hazards, this range of suit is highly demanded in the market.